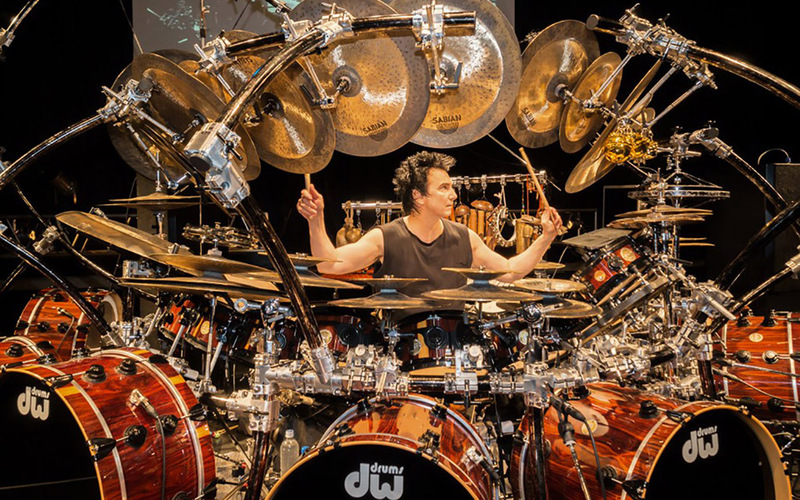 Drum legend Terry Bozzio has announced an expensive set of North American dates for 2018. Known for his work with Frank Zappa, Jeff Beck, Korn, UK, Missing Persons, Mick Jagger, Robbie Robertson, Alan Holdsworth, Tony Levin, Steve Vai, Quincy Jones, Ken Scott, Metropole Orkest – as well as Film score composers Basil Poledouris, Mark Isham & Patrick O’Hearn, Bozzio is a Grammy Winner, RockWalk Honoree, Modern Drummer Magazine’s Hall of Fame Award, & is in Rolling Stone’s Top 5 Drummers of All Time. He has spent the last 30 years performing Solo Drum Music for Sold Out Audiences all Around the World, from India to Japan, from Europe to North America. Terry’s art pieces are available here and here.